THIS HOME IS A MUST SEE! THE SELLERS HAVE THOUGHT OF EVERYTHING. THE HOME SITS ON 1/2 ACRE BEAUTIFULLY LANDSCAPED CUL-DE-SAC LOT. HOME HAS A WONDERFUL FLOW FOR ENTERTAINING AND EVERYDAY LIVING. KITCHEN IS AMAZING WITH CUSTOM CABINETS, GORGEOUS ISLAND, UPGRADED GRANITE, AND MUCH MORE. LIVING ROOM & DINING ROOM ADJOIN KITCHEN CREATING THE PERFECT ENTERTAINING FLOOR PLAN. DOWNSTAIRS BEDROOM WITH FULL BATH, COULD BE USED AS A BEDROOM OR OFFICE. UPSTAIRS 2 BEDROOMS CONNECT WITH A JACK AND JILL FULL BATH. THE MASTER BEDROOM IS ALMOST IMPOSSIBLE TO COMPARE. IT IS MASSIVE...WITH AN ADDITIONAL ROOM OFF THE MASTER BEDROOM (COULD BE A HUGE OFFICE OR NURSERY). THIS HOME HAS SOMETHING FOR EVERYONE. CALL TODAY FOR A PRIVATE SHOWING. Ready to visit 107 Taurus? Request a free property tour! 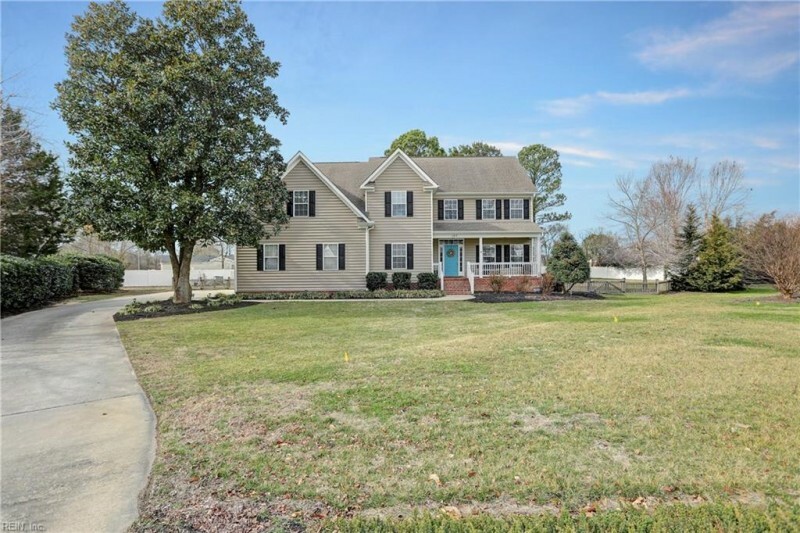 Send me more information about the listing at 107 Taurus, York County, VA 23693, MLS# 10239978. This 5 bedroom, 4 bathroom home located at 107 Taurus, York County, VA 23693 has approximately 3,929 square feet. It is currently listed for $540,000 and has a price per sqft of $13,744. This home is currently Sold under the MLS#: 10239978. This listing is provided by Mid-Atlantic Residential. 107 Taurus Court, York County was built in 2005. It has Garage Att 2 Car, Garage Det 1 Car, Oversized Gar, Street parking.The kitchen includes Dishwasher, Disposal, Dryer Hookup, Microwave, Elec Range, Refrigerator, Washer Hookup. 107 Taurus is part of the Lotz Acres Estates neighborhood located in 23693.